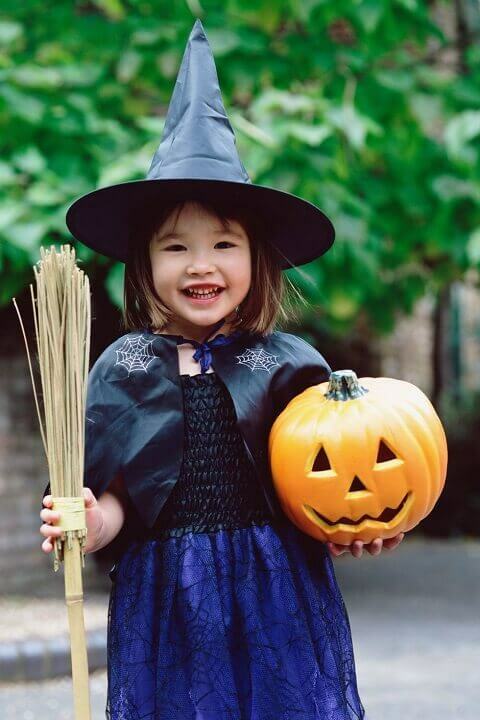 It's Fall and like many of you, we're getting into the Halloween spirit with our little ones. 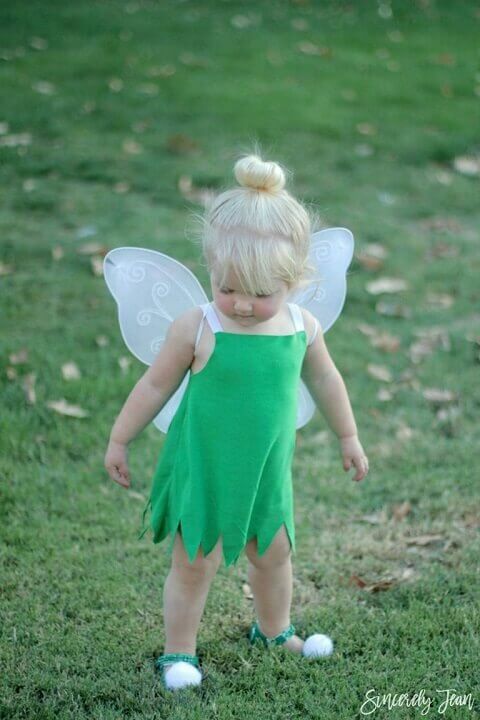 Here are some easy, and yes, cute Halloween costumes ideas for kids and toddlers. Who doesn't love a good superhero costume? 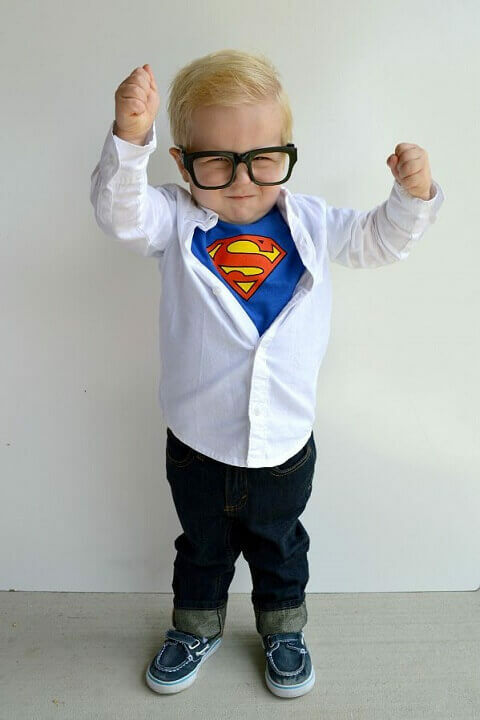 This undercover look of cute Clark Kent is easy to pull off. Get the full tutorial at Taking Care of Monkey Business. This flamingo costume looks adorable. You can make this costume by yourself. Get the full tutorial at The Small Details. 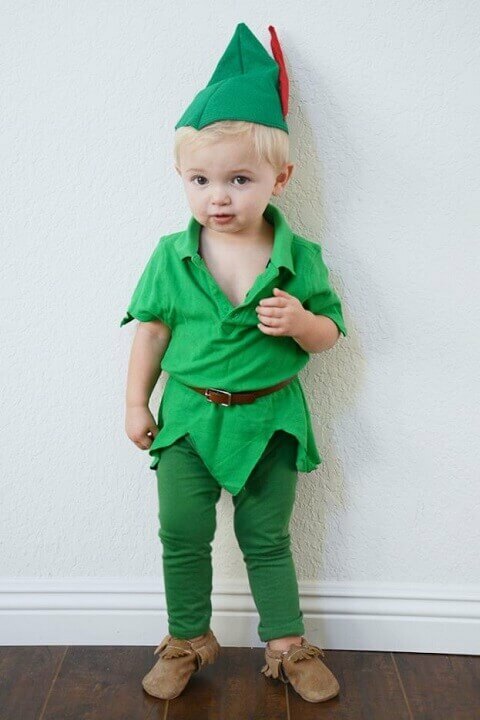 Why not dress him up like the ever popular Peter Pan? You'll get the full tutorial at Babble. 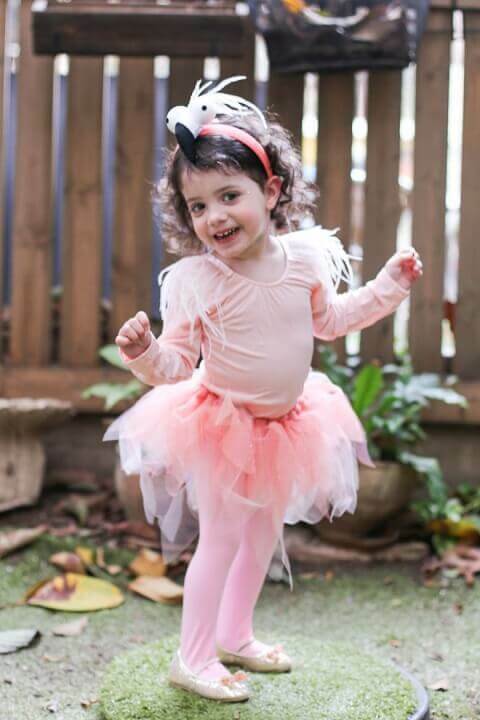 The Cat Halloween costume idea is very simple and, looks cute on kids. Don't you think so? You'll get the full tutorial at Country Living. Obi-Wan is one of the most lovable characters from Star Wars. 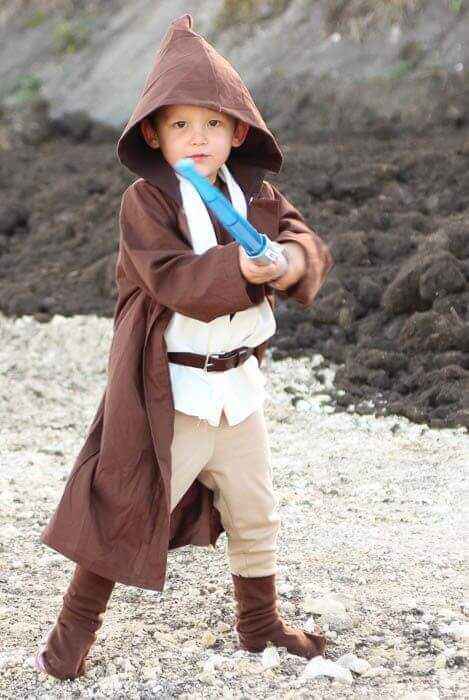 Why not make your little boy a Star-Wars inspired costume to spend his Halloween in a galaxy far, far away? You'll get the full tutorial at Molly Sews. 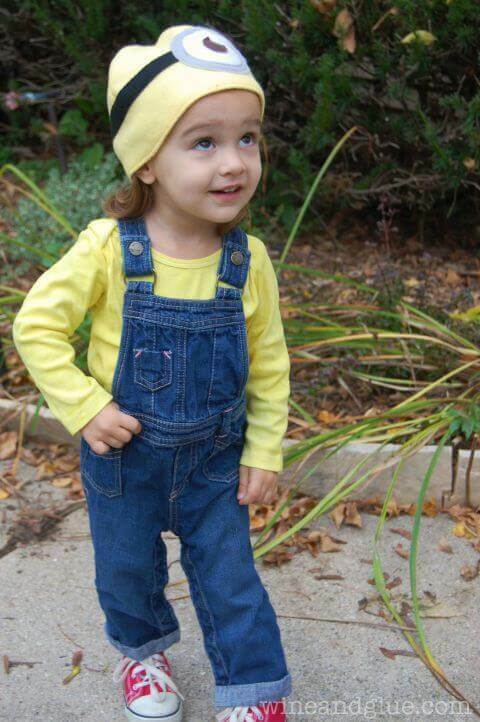 This could be the perfect Halloween costume for your little minion! You'll get the full tutorial at Wine and Glue. 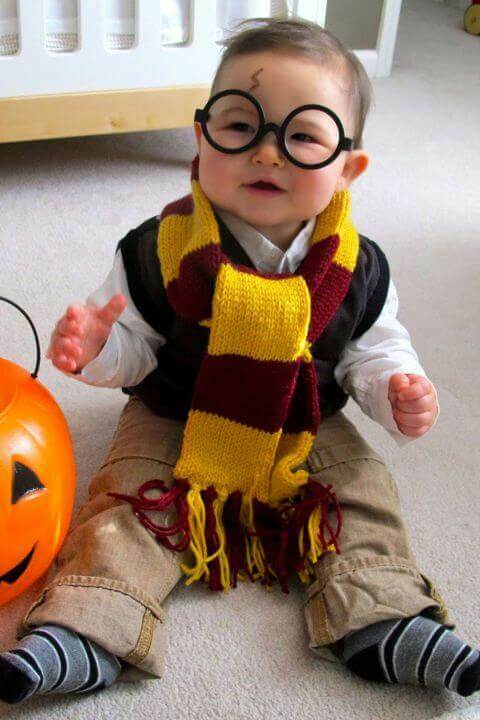 Is your kid fond of Harry Potter? We can solemnly swear that you'll be going to adore this costume idea inspired by Harry Potter. Love the touch of the scarf! You'll get the tutorial at Love and Lion. Is your sweet little girl a fan of the Lego movie? If so, she is definitely going to love this costume idea for Halloween. It takes about 30 minutes to make this costume. You'll get the full tutorial at Kids Stuff World. If you're short in time and ideas, visit a store and go in for monumental costumes. They look cool! You'll get the full tutorial at Sewing Rabbit. 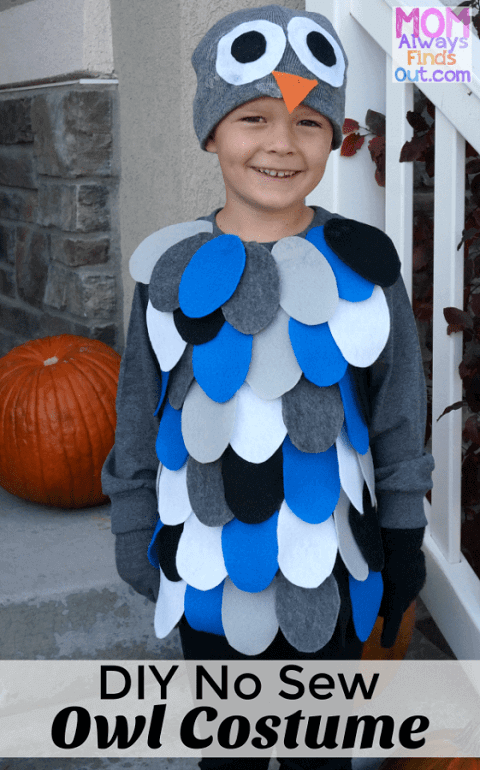 This is a no-sew, no-glue costume idea; it doesn't get easier than this! 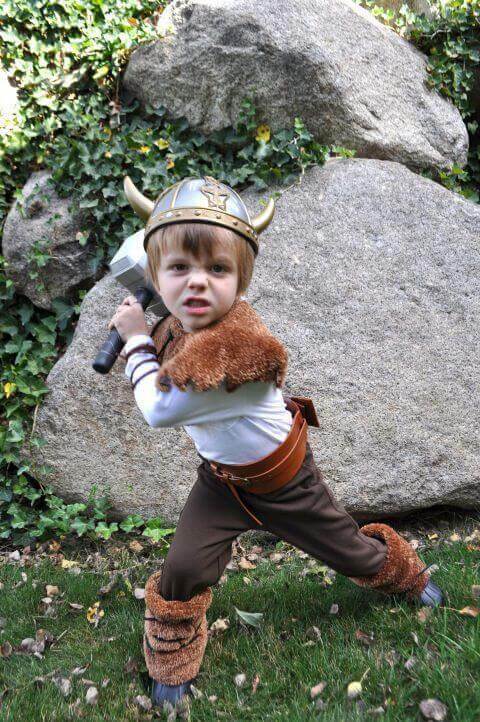 This Viking costume can be a perfect fit for your toddler boy. He looks small but mighty! You'll get the full tutorial at I Am Momma Hear Me Roar. Are you looking for a creative, yet easy last-minute costume idea for Halloween? Here's a solution for you that will only take a few minutes. Making this easy Peter's Pan shadow costume can be a perfect costume idea for any Peter Pan or Disney fan. You'll get the full tutorial at Tikkido. 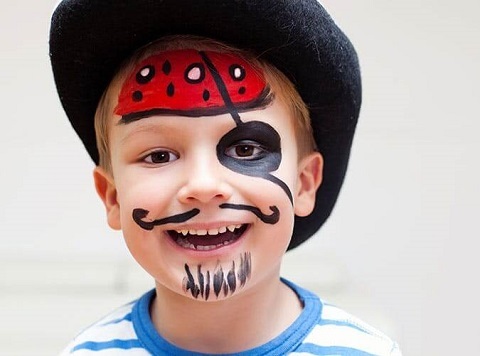 There's a very interesting and easy costume idea for your little man to transform him into a Pirate this Halloween. You'll get the full tutorial to make this DIY Pirate Costume at Care.com. 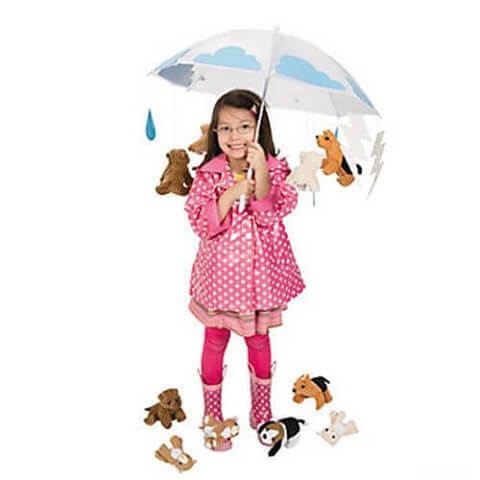 This is the perfect "it's raining men" costume for your little girls. All you need is an umbrella, a printer, some fishing line, and a few extras to complete the look! You'll get the full tutorial at Oriental Trading. This costume is a breeze to make and owls are perfect for Halloween. If you're thinking about making one, here's a felt owl tutorial by Mom Always Finds Out that breaks it down to a few simple steps. Food as a dress up is really a funny costume idea and can be recognized without much effort. A pizza costume is one of the easiest last-minute Halloween costumes ideas out there and will take an hour. You'll get the full tutorial at U-Create Crafts. 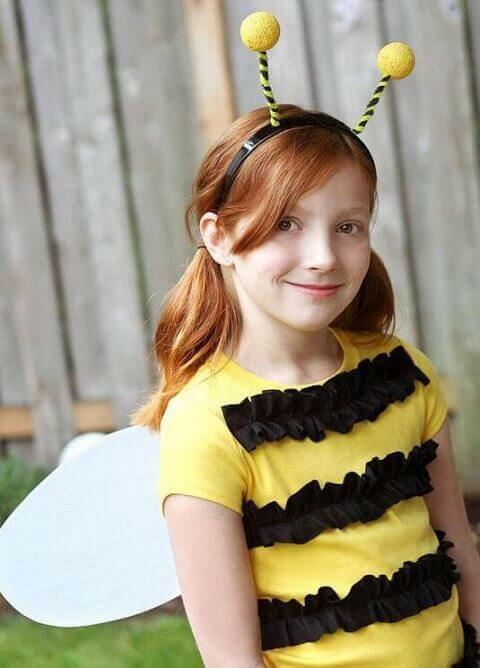 If you have an hour and know sewing, you're good to go for this simple and attractive bumble bee costume. You'll get the full tutorial at Fiskars. Emojis add emotions to our text conversations while chatting. 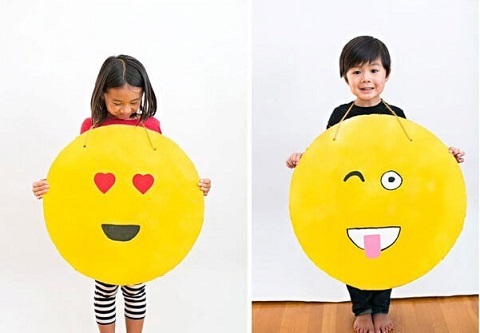 So how about adding your favorite emotion to your child's costume and make them an emoji? You'll get the full tutorial at Hello Wonderful. 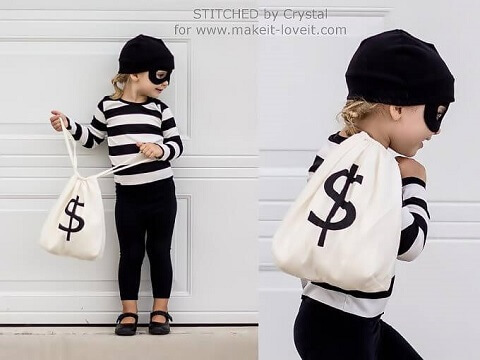 If you want a fuss-free Halloween costume for your kid, this bandit costume is a perfect choice. It's easy and fun to make. You'll get the full tutorial at Make It & Love It. 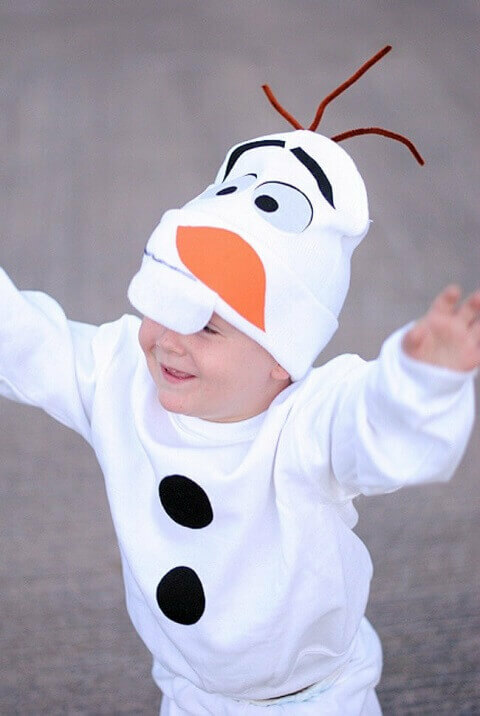 An Olaf costume is easy & no-sew costume idea for your toddler. It takes just about 30 minutes. You'll get the full tutorial at Crazy Little Projects. Earlier we showed a pizza costume, how about a fruit costume? 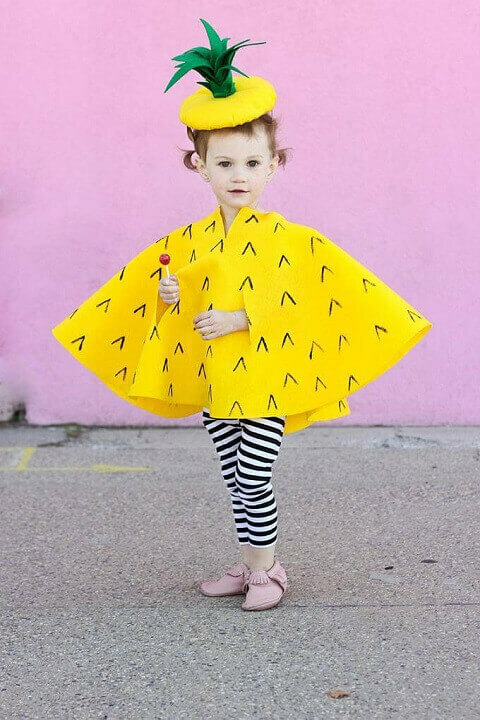 Yes, we're talking about this beautiful pineapple costume from Delia Creates! It's easier to make than it looks. You'll get the full tutorial at Delia Creates. A witch costume for Halloween is classic for a reason. Don't you think so? Get the full tutorial at Country Living. 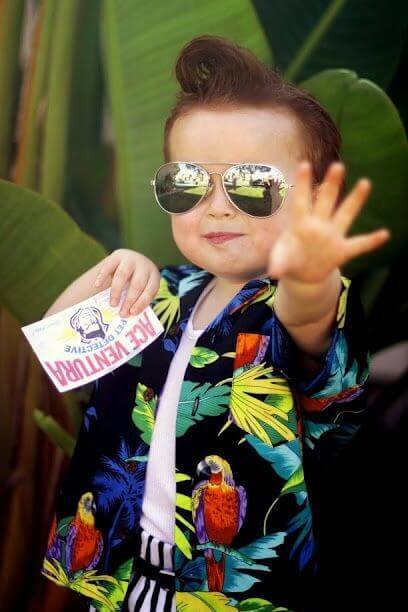 This Ace Ventura not only looks cool but funny as well. 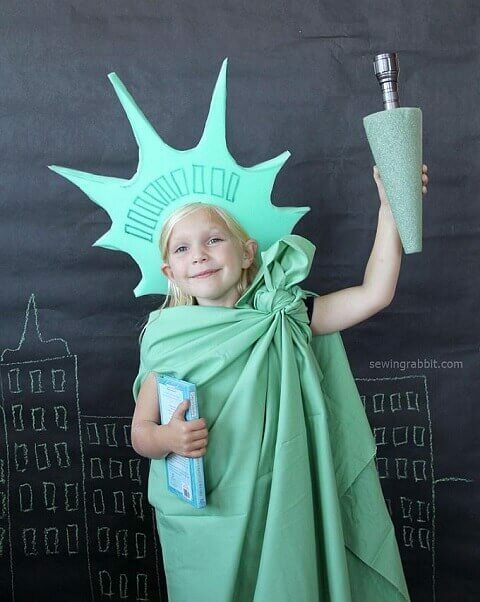 Also, this is one of the easiest homemade costume ideas out there for kids. Get the full tutorial at Some Canterbury Tales. Here's another fruit-inspired costume idea for babies. 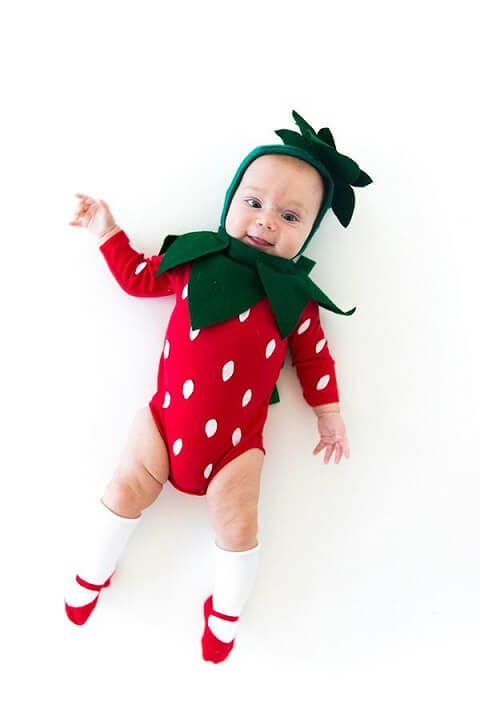 This strawberry costumer looks so sweet on babies. You'll get the full tutorial at Say Yes. 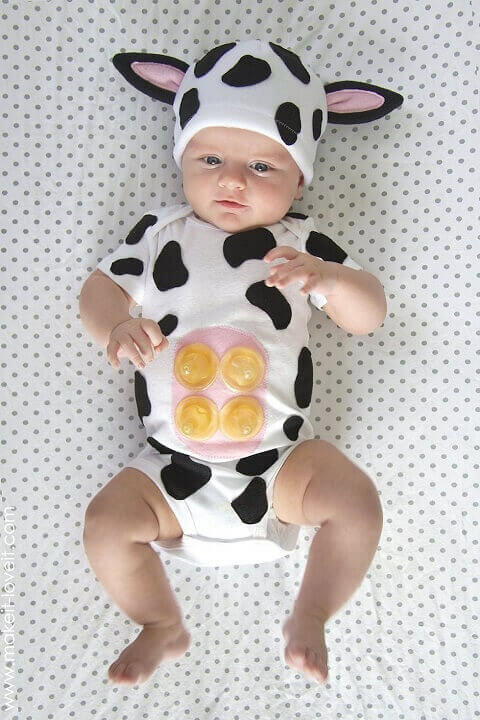 Looking for an adorable yet easy-to-make costume idea for your baby? 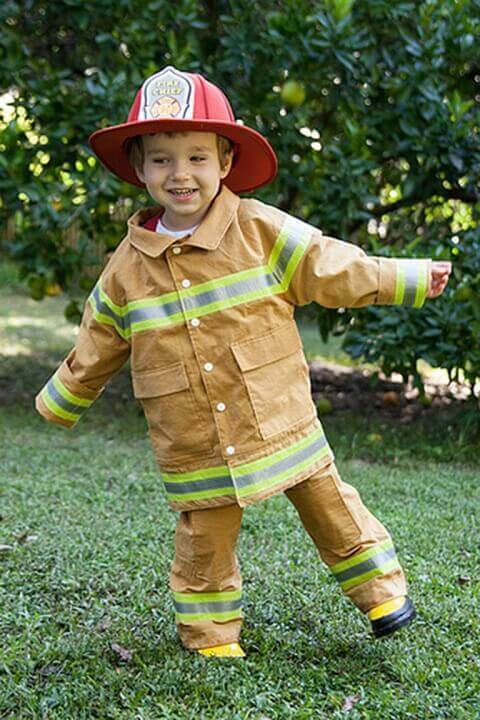 Here's a perfect option for your little one to get into the mood to trick-or-treat. You'll get the full tutorial at Make It and Love It. Can't think of anything good? How about a fashionista classic costume idea? It's always a good idea. You'll get the full tutorial at Smarties. You can always fall back on this classic ghost costume. It's classic for a reason! 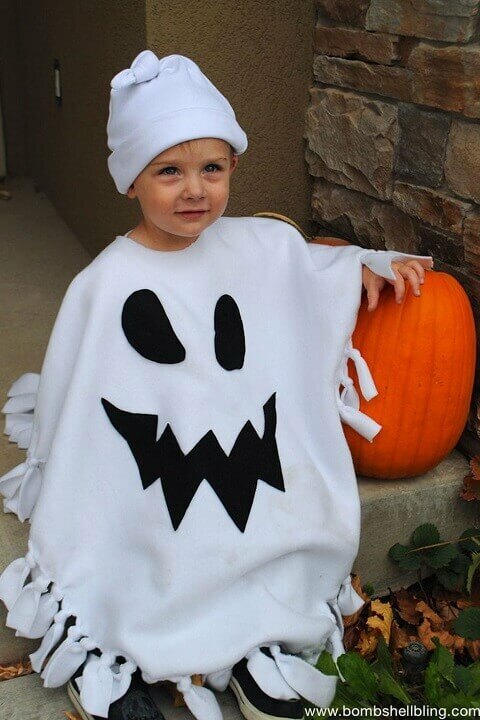 You can try this no-sew type of Ghost costume this year for Halloween. You'll get the full tutorial at Bombshell Bling. 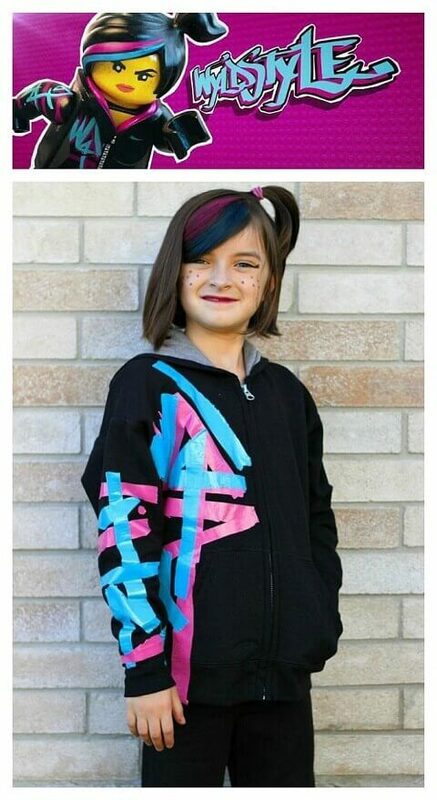 Excellent idea if your kid is keen on painting. 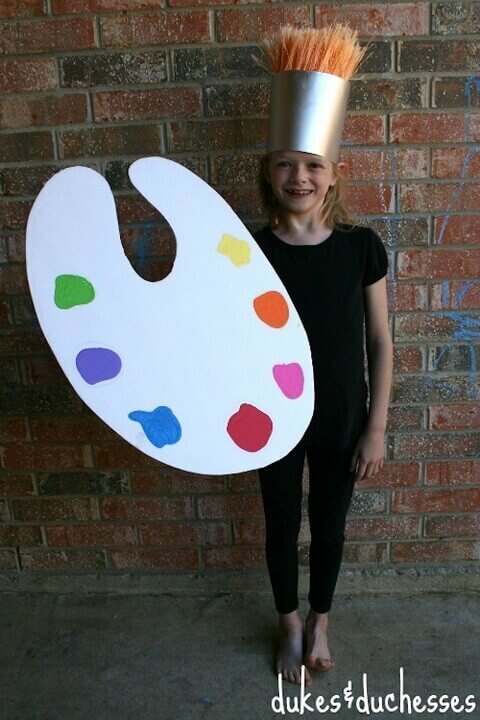 This easy-to-make paint brush costume can be a perfect costume for your little artist. You'll get the full tutorial at Dukes and Duchesses. 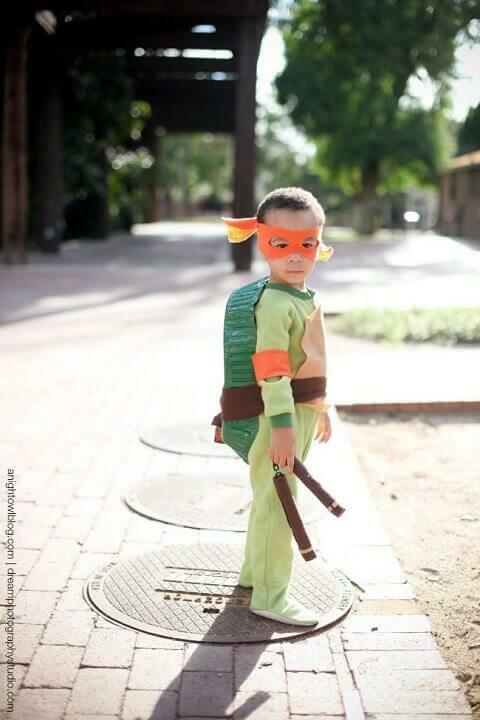 This easy to make Ninja Turtle costume will set your kid apart from his friends and classmates. You'll get the full tutorial at A Night Owl Blog. Can anything get cuter than a baby panda? 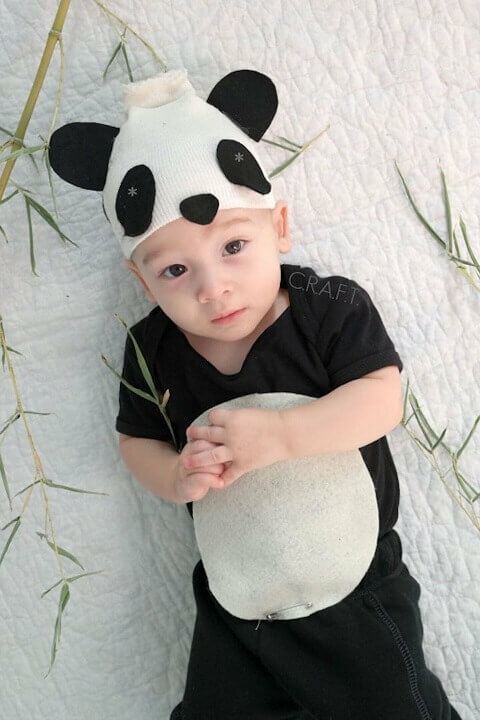 This baby panda costume is a perfect costume for your little one. You'll get the full tutorial at C.R.A.F.T. Boys, fire engines, and firefighters go together. Give your child a costume they will love. You'll get the full tutorial at Stitched by Crystal. To make magic happen, you can create this costume in a few easy steps. You'll get the full tutorial at Sincerely Jean. Interested in a Transcription Career? Get These Comprehensive Guides for Free!